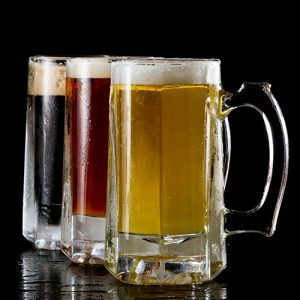 Thanks to our Guest Blogger and beer aficionado… In week’s article Denis “the man” Cooper writes about 8 Wired Beer, which you can discover on the shelves at Fresh Choice Nelson. Back in the day (2008), Søren Erikson rented out theRenaissance Brewery in Blenheim and created 8 Wired Brewing. A few short years later, the brewery’s endeavours resulted in a whole bunch of awards (Brewers Guild Champion Brewery 2011) with tremendous international success. Erikson now has his own brewery in Auckland and rents out the down-time to other ambitious brewers. As for international success, 8 Wired is the only Southern Hemisphere brewery to be listed as one of the world’s top 100 breweries on Ratebeer.com. Ratebeer is most subscribed to by Americans who may have questionable voting ethics, but 325 million Americans can’t all be wrong. Ratebeer lists nine 8 Wired beers in the best 25 best NZ beers, and coming in at number one is their stout, called istout. Ratebeer scores istout at 100 out of 100, and justifiably so. It exudes rich complex malts that are both bitter and sweet. At 10% ABV, istout will keep you wired. Another 8 Wire beer that’s highly rated is their Hopwired NZ IPA (7.3% ABV). This is the beer that may well have kick-started the NZ style of IPA; it scores 99/100 on Ratebeer. Boasting big lime and lychee aromas, with flavours like passionfruit, pine and crushed grape skins, it’s backed up with a perceptible caramel malt background and finishes with a refreshing earl grey bitterness. If you could bottle NZ, this is how it would taste. 8 Wired Tall Poppy India Red Ale (7% ABV) rates in at 100 points for style. It has a raw hop and pine sap aroma. There’s something for every palate with bold piney hops, roasted pecan malts and hints of rye and cigars. Somehow it just tastes red. For something gentler to swallow, try the 8 Wired Semiconducter Session IPA 4.4%. Sometimes you just need a thirst quencher, and this fits the bill. It tastes of strawberries and passionfruit and is nicely balanced with caramelly malts and a finish so dry you keep sipping, sipping, sipping. Get the best rated 8 Wired beer from the best-rated supermarket, Fresh Choice Nelson! Ahhh, sweet corn… A taste of summer, sweet, juicy and bursting with flavour. In its simplest form, microwaved for two minutes in its husk, peeled, rubbed in butter and devoured. A perfect, fresh snack! I know corn can be perceived as a mundane, everyday freezer staple, but for a few weeks each year, it’s cheap, fresh and so very delicious! Fresh sweet corn is a good source of folate, thiamin, phosphorus, vitamin C and magnesium. 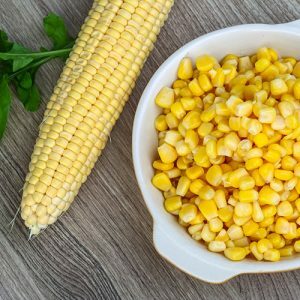 Corn is also incredibly versatile… It makes a great soup, adds a sweet crunch to a salad, and can be added to almost anything! Corn and ricotta cakes are a favourite of mine; the light cheese flavour goes well with the spice of the chilli and the sweetness of the corn. Add poached free range eggs and sweet corn salsa, and you have the makings of a fabulous brunch! Put all the ingredients into a bowl and lightly mix. Be careful not to overmix, as this will cause the avocado to mash into the other ingredients and lose its fresh appeal. Microwave the cobs until soft. Using a sharp knife cut down each side of the corn cobs to remove the corn. Beat together the buttermilk, eggs, ricotta, flour, salt, chilli sauce and pepper in a bowl, then stir in the corn and chopped chives. To serve, poach two eggs per person. Place two corn cakes on each plate, top each cake with a spoonful of salsa, and top with an egg. Finish with some fresh salad leaves, or even better… Fresh roquette. Don’t forget to head to Fresh Choice Nelson for your super summer sweet corn and all the other fresh produce to make this delicious brunch! Welcome back to our weekly blog, and the first post for 2018! 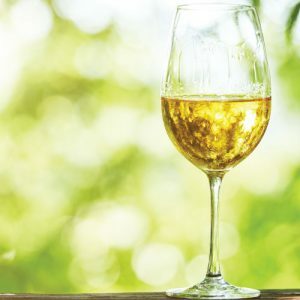 This one is from our wine expert, Neil Hodgson, and in this article, he’s talking Nelson Sauvignon Blanc, pop down to Fresh Choice Nelson for yours! Sauvignon Blanc is still the most important grape variety for the New Zealand wine industry, and while Marlborough Sauvignon Blanc is the brand the world recognises as being special to New Zealand, the industry is lucky that when the variety is produced in other regions, the finished wine still has flavours consumers worldwide love. Nelson Sauvignon Blanc still has vibrant tropical fruit aromas and flavours, but with a twist, the acidity tends to be much softer. So while the flavours are familiar the texture of the wine is much more approachable; with classic, crisp Marlborough Sauvignon Blanc I struggle a bit with the harshness in the acidity so normally I can only drink a glass or two, with Nelson Sauvignon Blanc I am happy to consume more. Of course, there are exceptions to this, some producers in Marlborough are delivering wines with riper acidity, or barrel fermented versions, while some in Nelson are producing crisper versions. The Grocer at Fresh Choice Nelson City has a huge range of Nelson Sauvignon Blanc for you to choose from, ranging in price from about $10 to $25. They include many organic wines and, from Seifried Estate, the Old Coach Road lighter alcohol Sauvignon Blanc, a wine currently on promotion at Fresh Choice Nelson for $10 a bottle. The Brightside Organic Sauvignon Blanc on promotion at $14.99 is packed with flavour and delivers quality way above its price point while examples from Neudorf Vineyards ($21), Brightwater Vineyards ($18), Greenhough Vineyards ($17), Blackenbrook Vineyards ($18) and Richmond Plains ($18.99) are all examples of Nelson Sauvignon Blanc with beautiful ripe fruit and obvious but gentle acidity; they are just delicious wines. So next time you are looking for Sauvignon Blanc with those classic flavours we all love but with softer acidity that makes them gentler on the digestive system then choose one grown and produced in Nelson.